A four-year-old boy named Landon Mak, stood before the crowd on Wednesday night as the Hershey Bears prepared to take on the Springfield Thunderbirds in an AHL match-up. 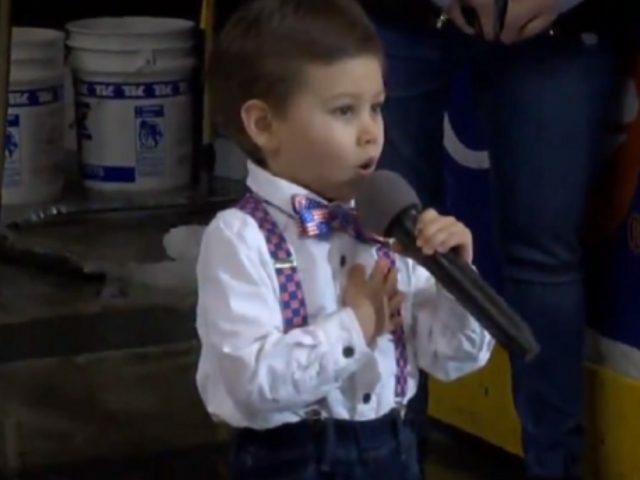 While sporting flag-themed suspenders and bow tie, Landon delivered one of the best anthem performances you’re ever going to see. If Roger Goodell really wanted to make a strong pick for next year’s Super Bowl anthem performance, little Landon just might be the guy.